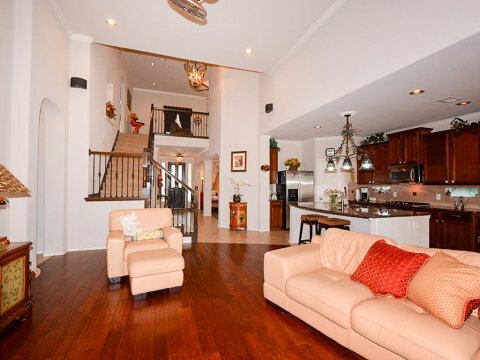 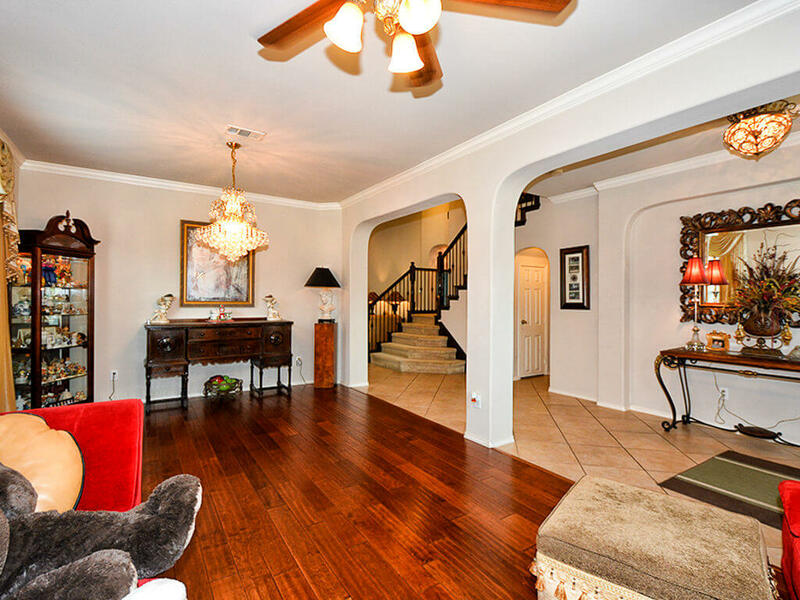 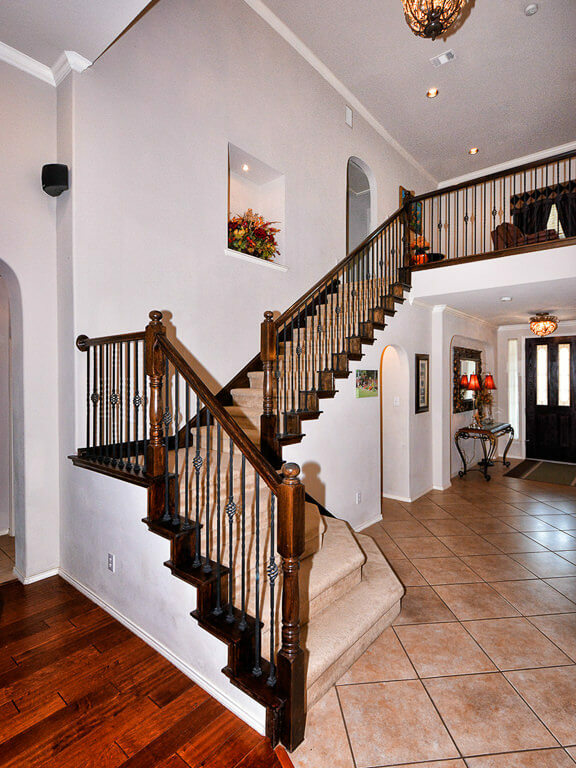 8309 Brightside Lane Frisco Texas 75035 is offered May 1st at a price of $389,000. 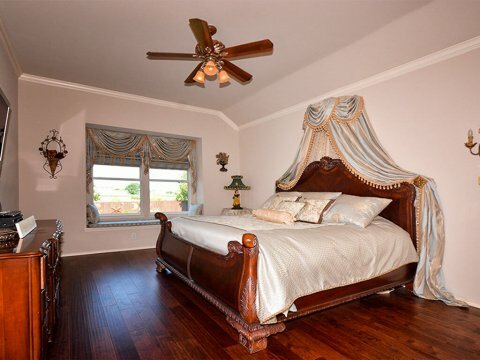 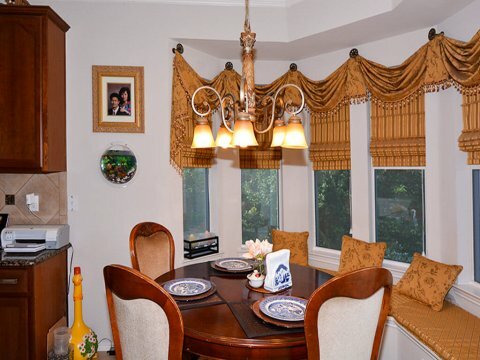 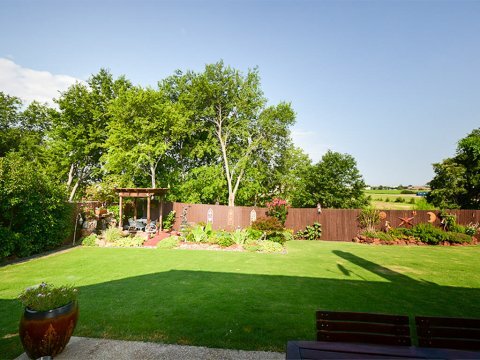 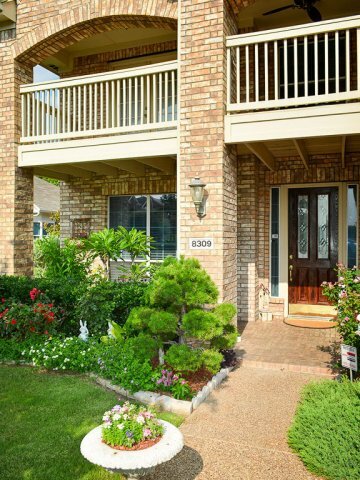 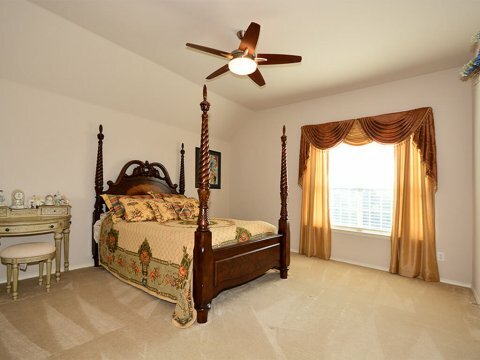 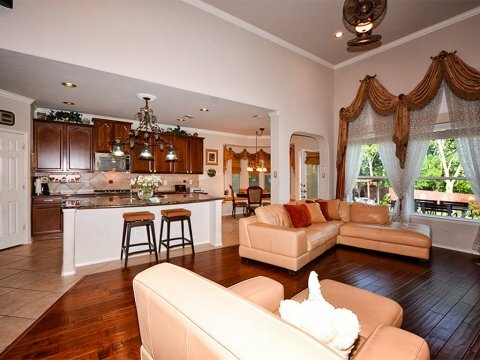 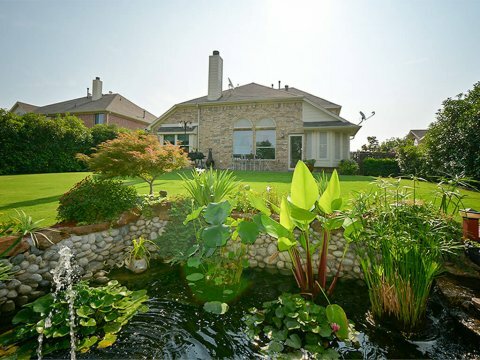 Spacious home with spectacular gardens and KOI pond and beautiful view of lush greenbelt. 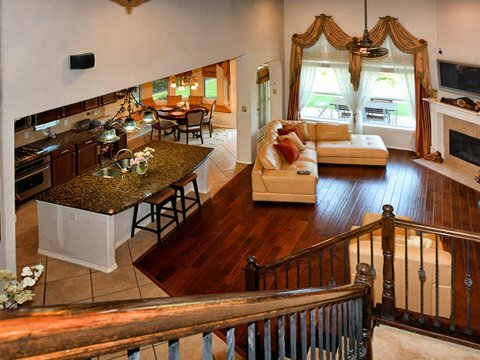 Open living with two story ceilings. 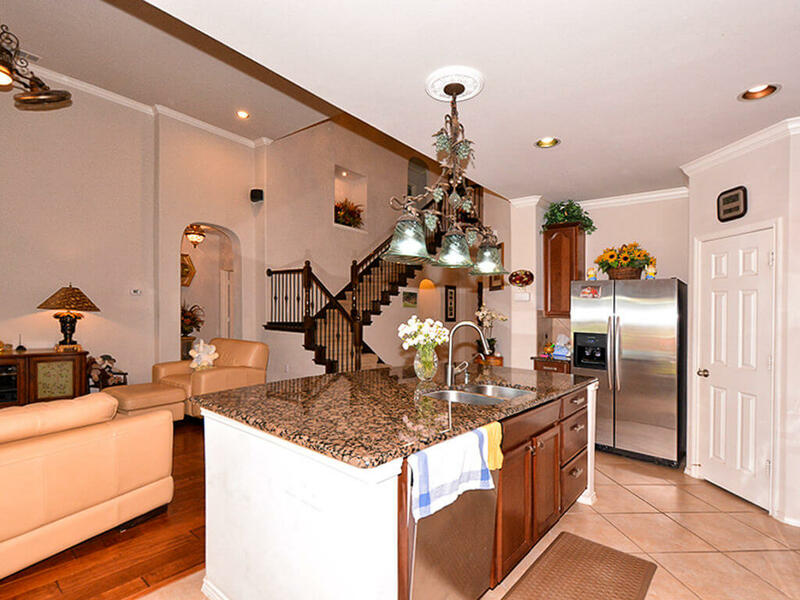 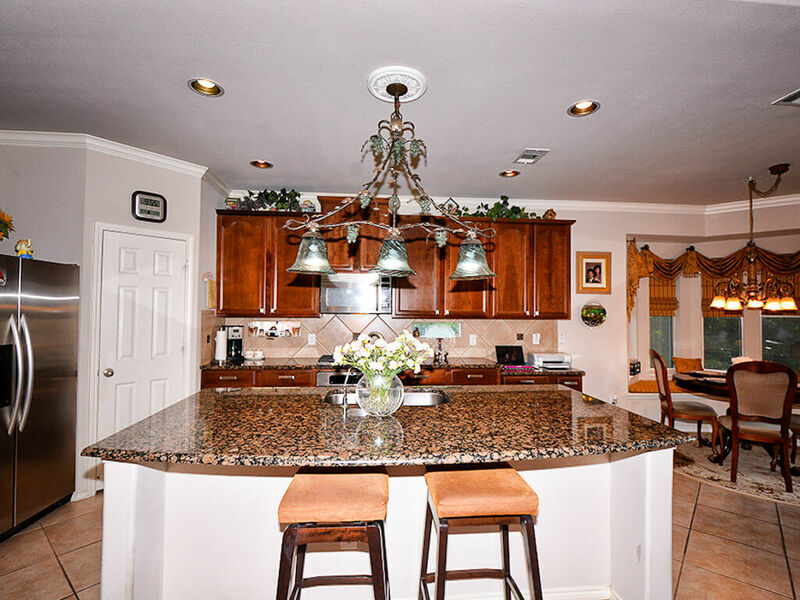 three living areas, granite countertops, island, 42 inch cabinets, breakfast area. 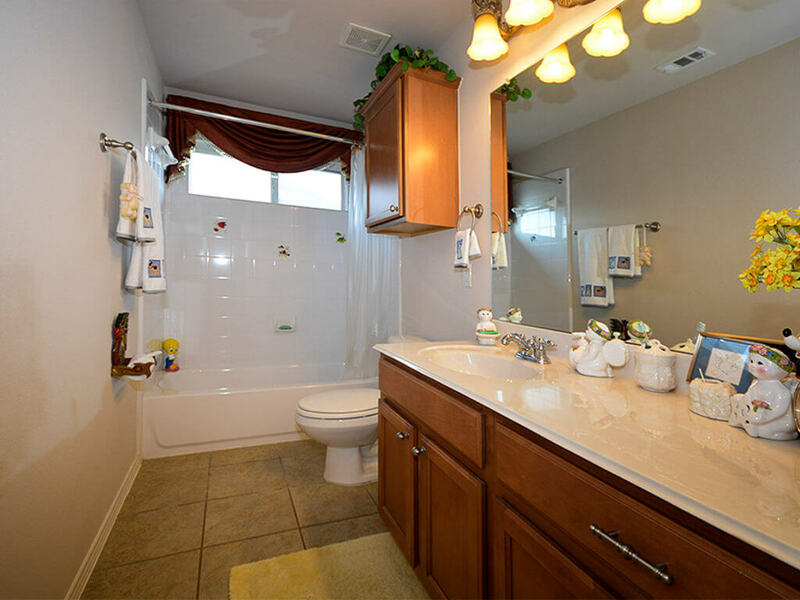 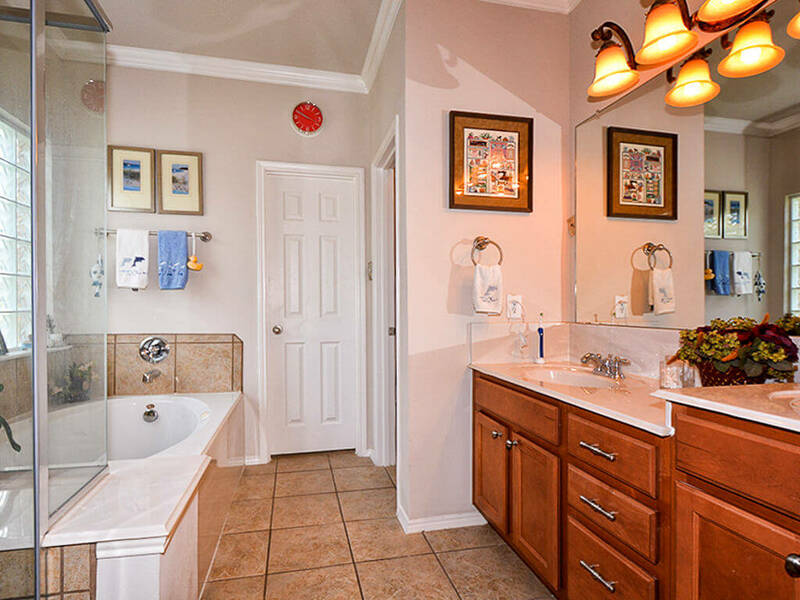 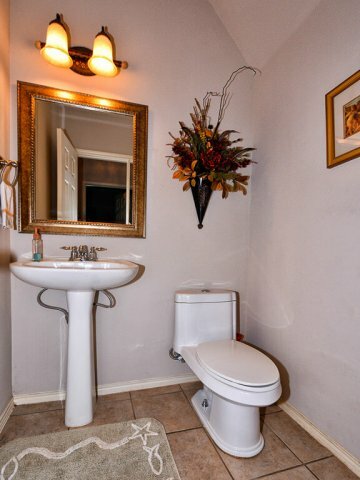 Master bath has separate shower and large walk in closet, split bedrooms. 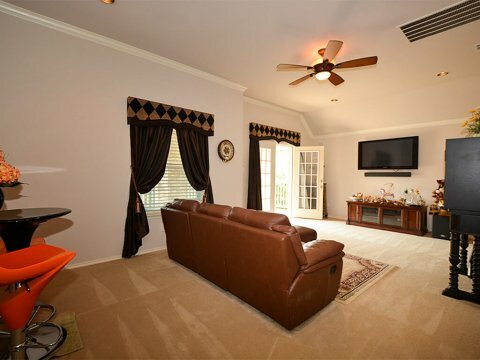 French doors open to balcony from upstairs living area, can be game or media room. 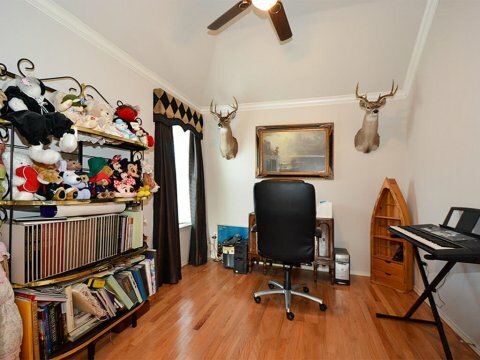 Upstairs 4th bedroom can be office or study. 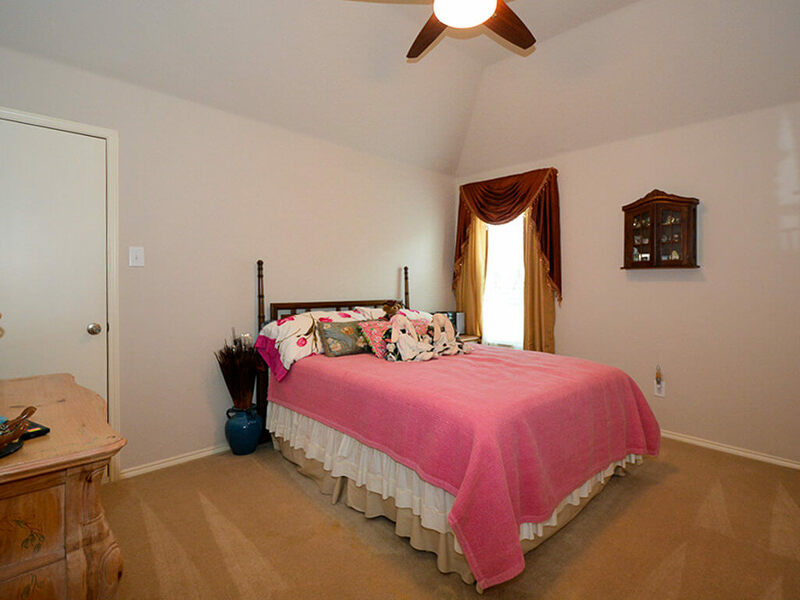 Walk to schools, easy access to Dallas Parkway. 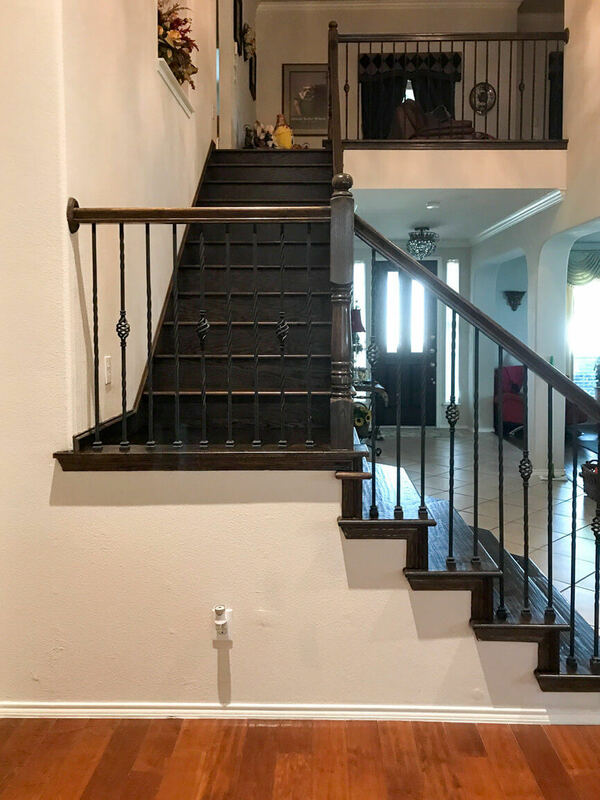 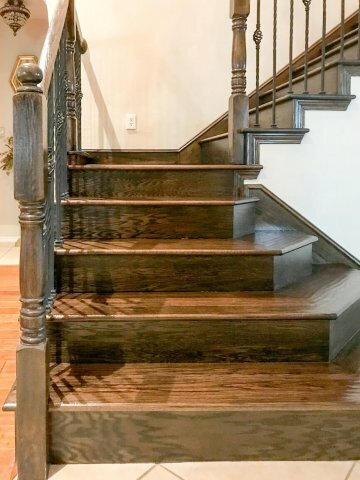 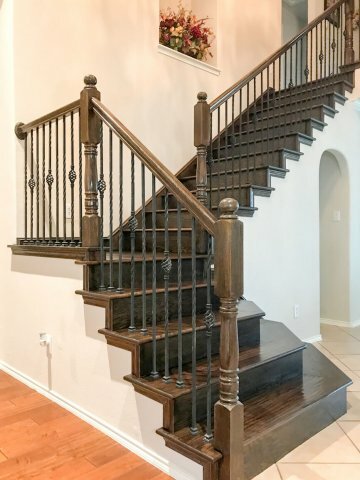 Stairs recently refinished. Backs to open space easement. Climate, convenience, a “small town” character, and accessibility to downtown Dallas are only a few of the qualities that make Frisco, Texas such a desirable location. 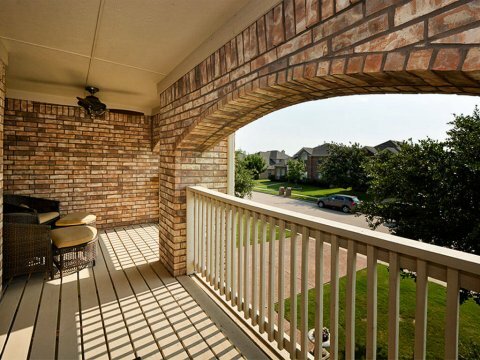 Frisco is home to corporate headquarters for the Dallas Stars and regional offices for Levi Strauss and Budweiser. 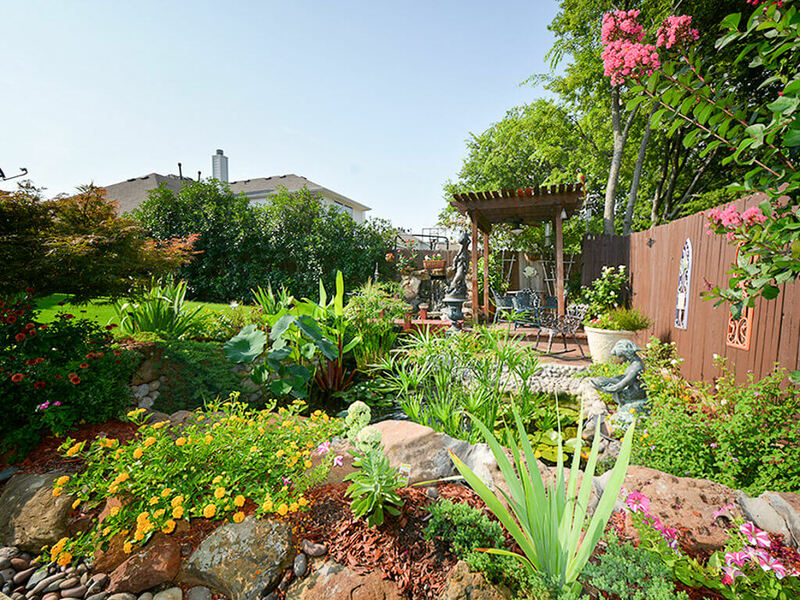 Arts, entertainment and recreation abound in Frisco, including Minor League baseball, Major League soccer, and National Championship cyclist racing. 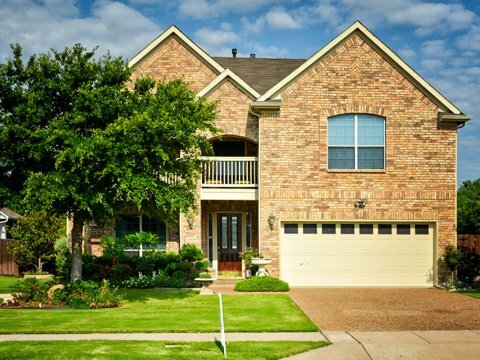 Frisco ISD continues to be the fastest growing school district in the state of Texas. 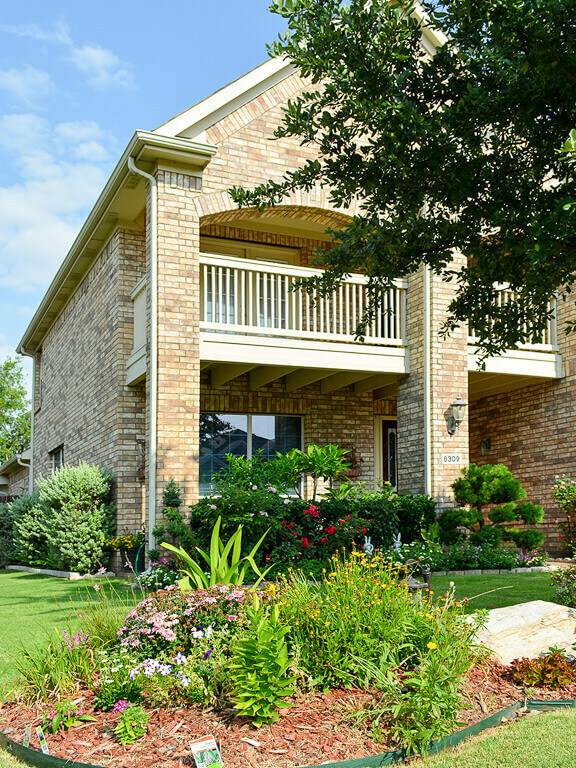 During the past six years, FISD has grown by 20-30 percent annually in student population. 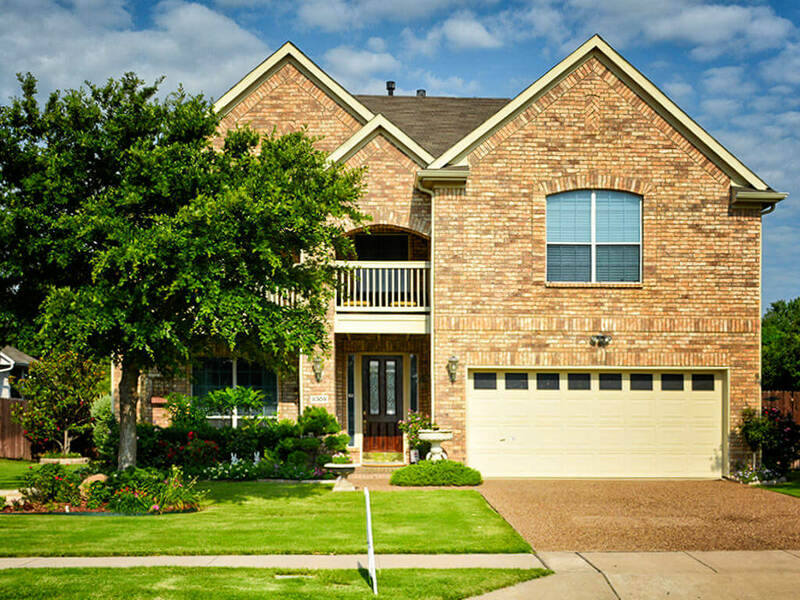 Frisco is a city located in Collin and Denton counties in Texas. It is part of the Dallas-Fort Worth metroplex, and is located approximately 25 minutes from both Dallas Love Field and Dallas/Fort Worth International Airport.